The Accented Engagement Ring may not be a well known style of engagement ring, or at least by that name. 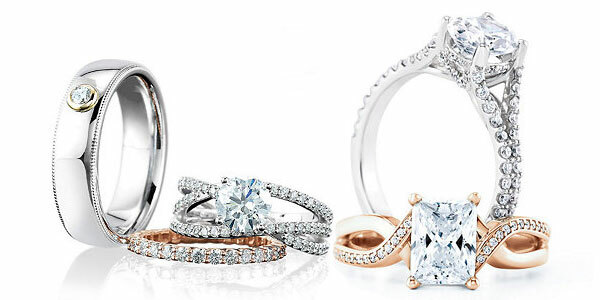 The Accented Engagement Ring is actually the most common style of all the Diamond Engagement Rings. It is a single stone ring with small diamonds or gemstones on the shank "accenting" the center stone. The trick tho this style of Diamond Engagement Rings is that you dont want to pick a setting where the accent diamonds outshine the center diamond. That's where we come in. It is easy to get excited when you see some of the settings then you get the ring and the center stone is lost. Don't make this mistake. We will take the time to show you the setting and match it with the perfect G.I.A. Certified Diamond to construct the perfect enagagement ring for you. Please click here for information on financing your accented engagement ring.